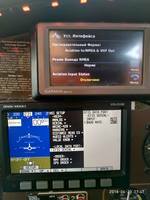 We are having hard time trying to make Garmin Aera 500 talk to Dynon D-100 over serial connection. We don't have HS-34, so the connection has to be done directly to Dynon D-100 unit. We connected the yellow wire from the Dynon-supplied D-100 harness (goes to pin 22 of the DB25 connector) to the blue Tx line in the bare-wire Garmin Aero 500 cable as instructed on pages 2-2 and 3-4 of the D-100 Installation Guide and page 166 of the Aera 500 manual. The ground wires were also connected. NMEA output mode was set to Normal to allow complete set of sentences to be sent to the Tx line. D100 serial data port was set to "auto" both for the Input and Baud rate (in fact we tried all combinations of the two). The result is - no GPS devices in the GPS ORDER SETUP page of D-100 . Rebooting D-100 and Aera-500 after settings change doesn't help. 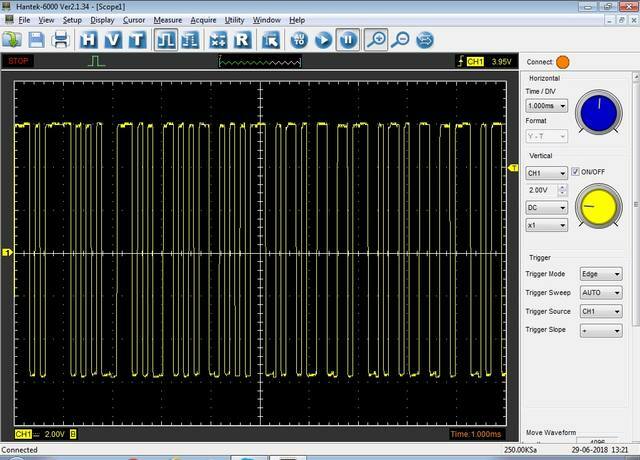 Then I connected the line to an oscilloscope and... - no meaningful signal on the line, I expected to see some kind of square waveform, but there was only noise there. I took another Aero 500 from my buddy (the only difference is English firmware) - same noise there (D-100 doesn't see it either). Though the current firmware is very old (2.9 while there is 5.8 available), updating it will definitely erase all localization (there is no Russian language available directly from the Garmin website). On the other hand, the change log doesn't reveal any improvement on RS232 connection since version 2.2. So I doubt flashing the firmware would help. I would rather suspect there is something wrong with the cradle. According to Garmin documentation it must have 7 wires, but this one has only 6 (no green wire - audio ground). I unscrewed it from the instrument panel and... noticed the part number on the back: 011-02023-20. I didn't find it on the Garmin website, but google found it on ebay: Garmin-GPS-Aviation-Mount-AERA-SERIES-011-02023-20-w-Power-Cable-Audio-Jack. Well, this looks like the root of the problem - wrong cradle, even though having the right colored wire (blue). It was installed by another man long before D-100 was bought. Too bad there is no info on Aera port pinout to check to which pin the Tx wire should go. 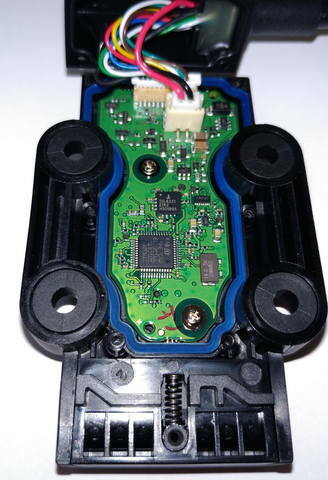 I would appreciate if an owner of Garmin Aera unit could test connectivity of the GPS Tx wire (blue) with pins of the right cradle (part #010-11385-03) and say to what pin the Tx wire goes - just to confirm my guess of the wrong blue wire in my cable. Another thought is to hook the serial output up to a computer with a serial terminal program and see what you're getting out of the device. 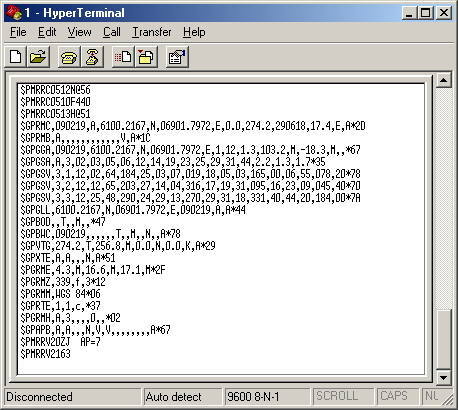 Yeah, I read a thread on this forum, where this way was used to catch the GPS problem, I did try it with an old laptop (from the year 2001) - for some reason hyperterminal can't open the COM port under W2K, opens it in W98, but nothing in there. TeraTerm also doesn't show anything on the wire. As soon as we get our hands on the right cradle that will be the first thing to do out of curiosity Hopefully will see our buddy with the second Aera 500, he might have the cradle. 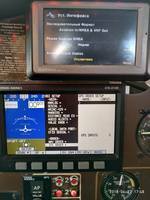 Today we finally made Garmin Aera 500 to work EFIS D-100 with the right cradle. 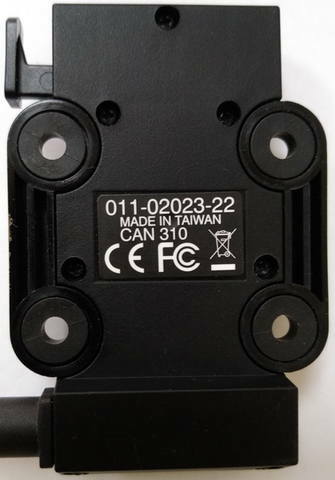 It's coded #010-11385-03 on the box, but the mount on its back bares part # 011-02023-22 - differs only in the last digit with the previous mount (2 instead of 0). 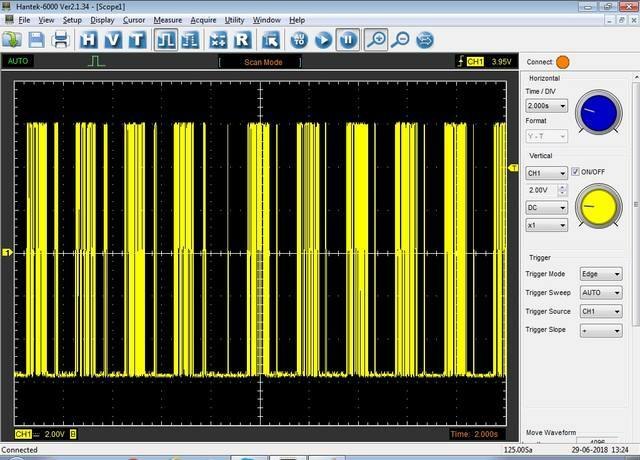 Both the oscilloscope and hyperterminal showed the expected digital waveform and message stream. The board inside has the missing chips. Connection to D-100 went smoothly - issue resolved.